These snapshots are taken at the Ontario Mall today. 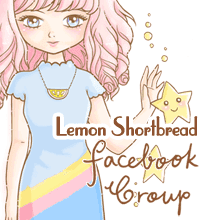 The theme is 'Rainbow Pop', enjoy! 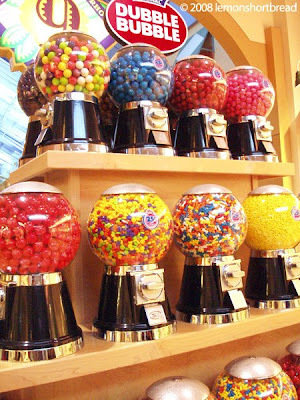 Bubblegum machines, includes candy too. Close ups of bubblegum machines! They are VERY sweet (I don't really have a sweet tooth) Oh yes you might know bubble & chewing gum is banned in Singapore. 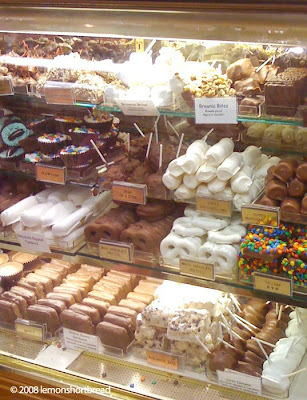 Confectionery shop. 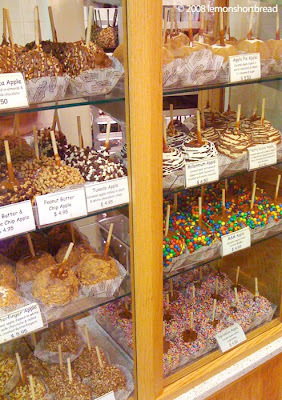 Candied apples, carameled apples, all kinds of chocolatey goodness. Chocolate, white chocolate, M & Ms disguises on other sweet stuff like marshmellows & cookies. I've been eyeing those. 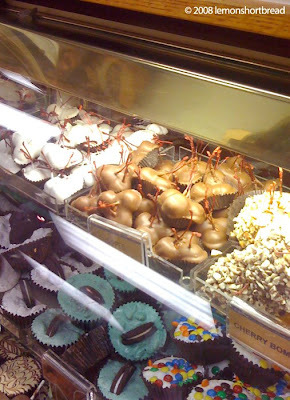 Chocolate covered cherries! Unfortunately I have a sore throat so none of that for now. Rainbow hoop earrings and the bottom ones are cute cupcake design hoop earrings!! 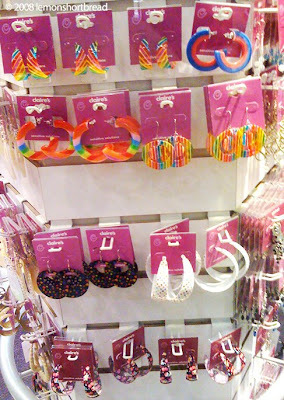 Yea these are Claire's. I love the pictures, they all look so yummie and colourful! 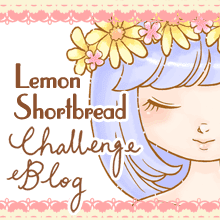 Can I post one of these pictures on my blog? 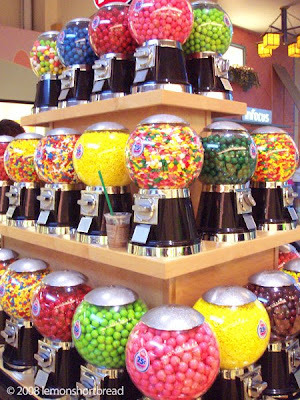 I'm writing a post about candy machines and you photos are just sweet! Thanks Joe! Sure just link back the photo to me!